Zagori is a place where man and nature coexist in perfect harmony. The surrounding area offers many interesting activities such as hiking, horseback riding and rafting. 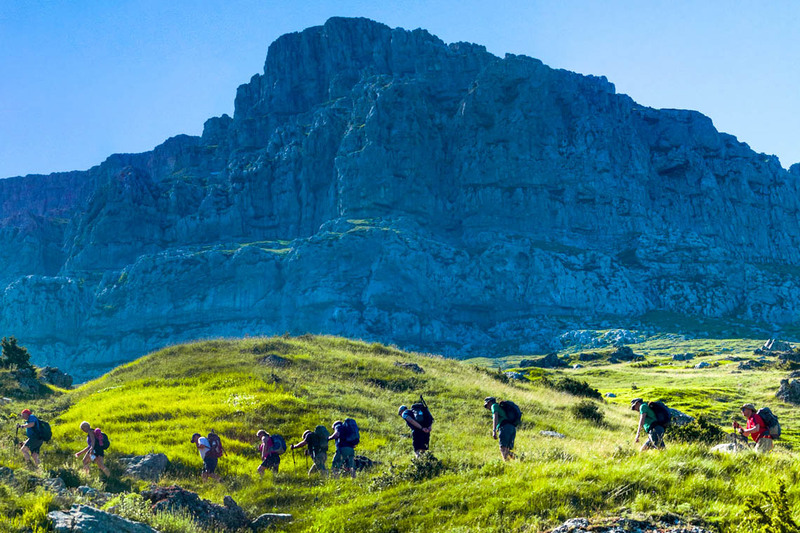 Zagori is a real hiker’s paradise! There are countless opportunities, from short, easy walks, up to days long cross country trekking routes, all within its boundaries. At first, there is a dense network of all those old roads, many of them in cobblestone and well marked, connecting villages with each other, leading through amazing landscape. Almost all of them pass through one or more of the over 80 majestic stone bridges of the area. Then short or longer paths leading to the most exceptional natural landmarks of the place, as crossing through the Vikos, the Voidomatis or the Aoos River Gorges, accessing Lake Drakolimni or the numerous high peaks of Mt. Tymphe and its neighboring massifs. 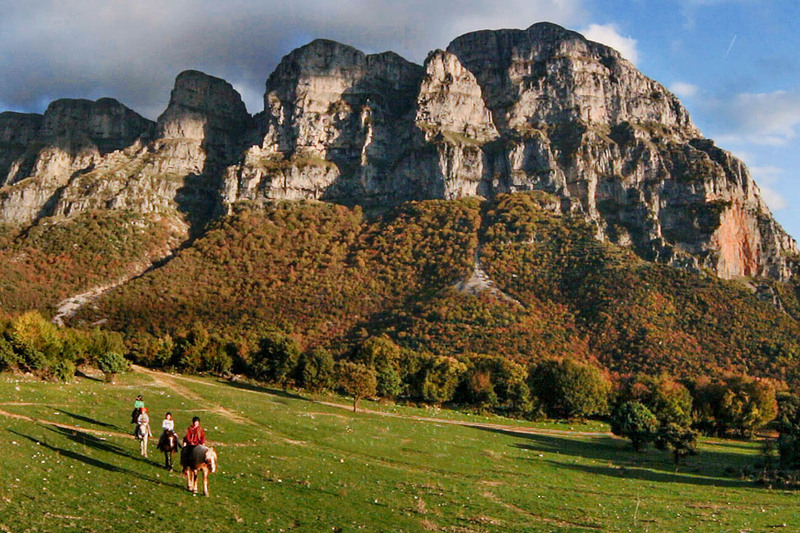 Along with walks and treks, Zagori’s landscape offers great opportunities for horse riding. 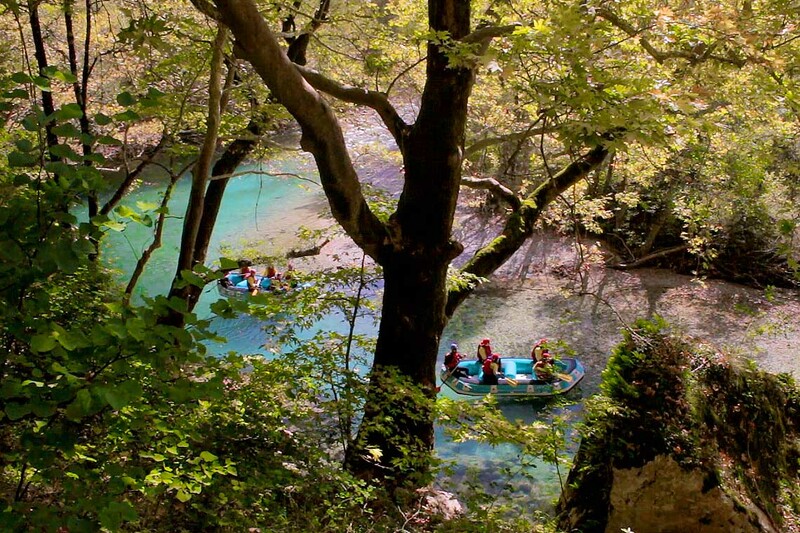 Paddling through the rivers of Epirus with a raft boat, offers an alternative, exciting way for a close contact with nature, combining adventure with physical activity.